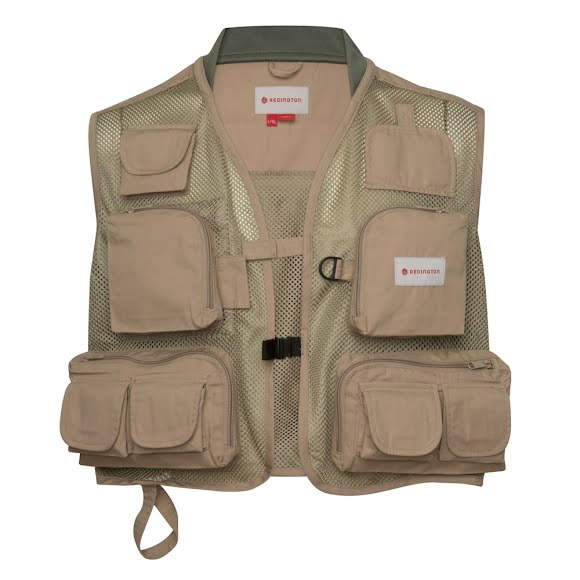 Redington's Clark Fork Mesh fishing vest has got everything from 9 closed pockets and a fleece fly keeper, and the polyester mesh will keep you cool and dry. Plenty of cargo space, with smart design to keep you fishing instead of looking for everything you need. Redington&apos;s Clark Fork Mesh fishing vest has got everything from 9 closed pockets and a fleece fly keeper, and the polyester mesh will keep you cool and dry. Plenty of cargo space, with smart design to keep you fishing instead of looking for everything you need. Quick dry mesh and knit collar for comfort. 9 external Zip/Velcro closure pockets. Three interior pockets with zip closure. Large rear zip closure storage pocket.